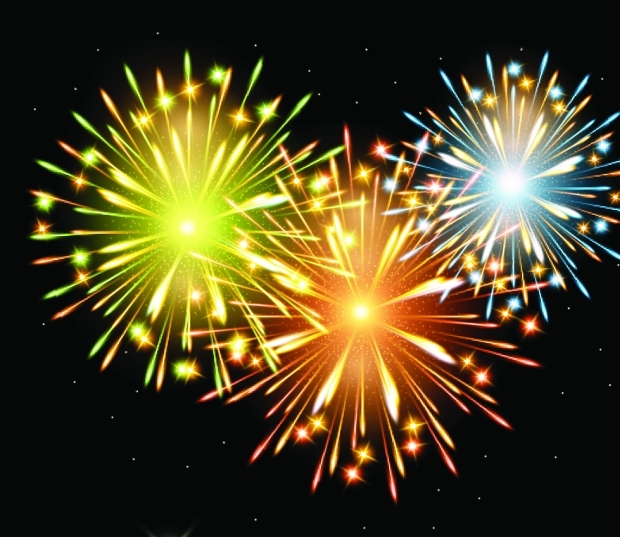 Fireworks are representative of celebration and come the festive season, you will be looking out for new designs and patterns of them! 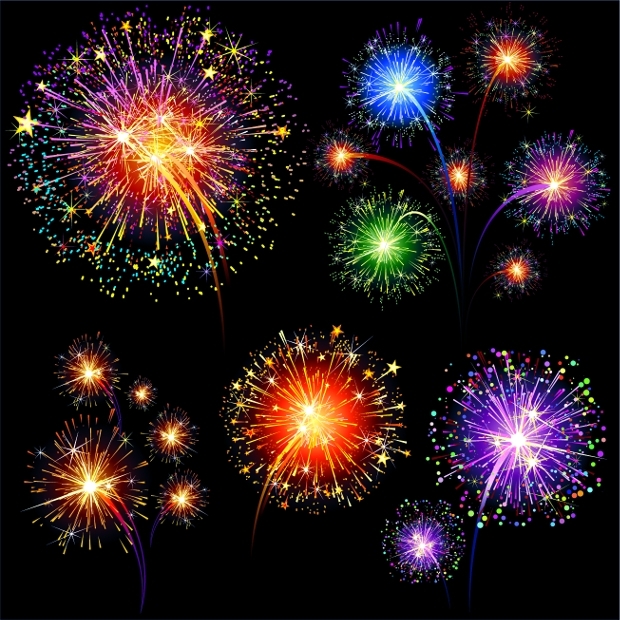 Quite a commonplace element in the world of graphic designing, designers are always looking for ways to create new and exclusive fireworks to make their posters and designs unique. 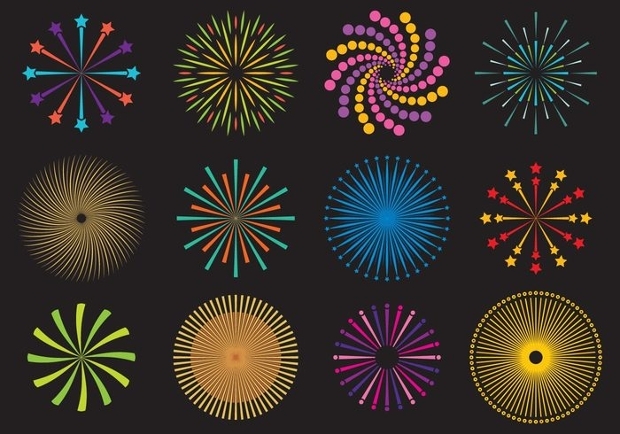 Well, below is a collection of fireworks vectors that any designer would fall in love with. Keep them handy as you never know when there will be a pressing demand for it and you will have a deadline to meet! 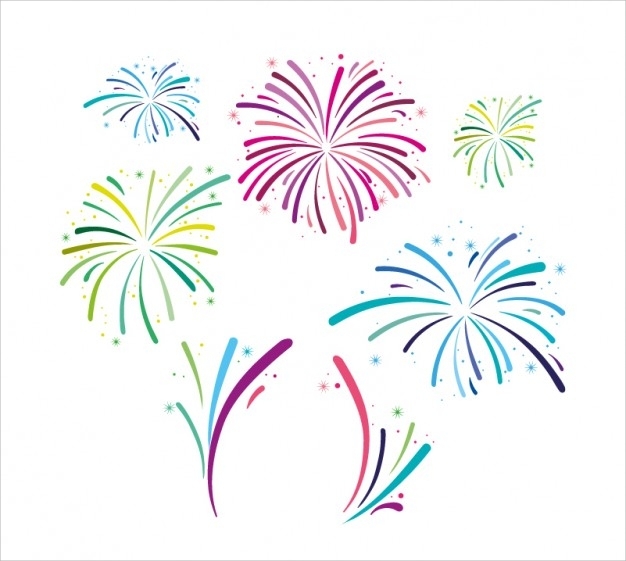 A simplistic firework vector with splashed of pink, yellow and blue colors, this would be apt for any design that is themed around a celebration. Perfect for customized greeting cards and party posters, it is your creativity that limits its application. The vector is offered in high resolution and is completely scalable. 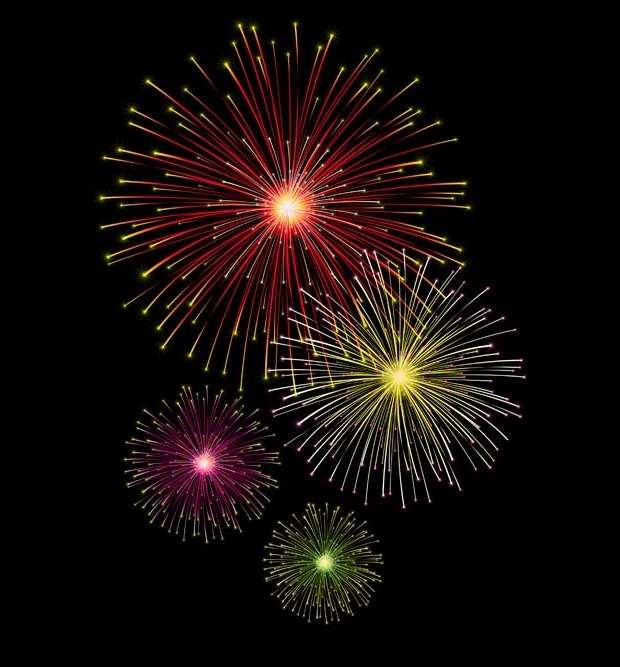 A splash of colors, this firework design combines smooth shapes to create a beautiful visual. Yellow and blue combine to spark up the backdrop which can be customized to any color. The vector is available as an EPS and JPEG file and will be compatible with all kinds of image editing applications. 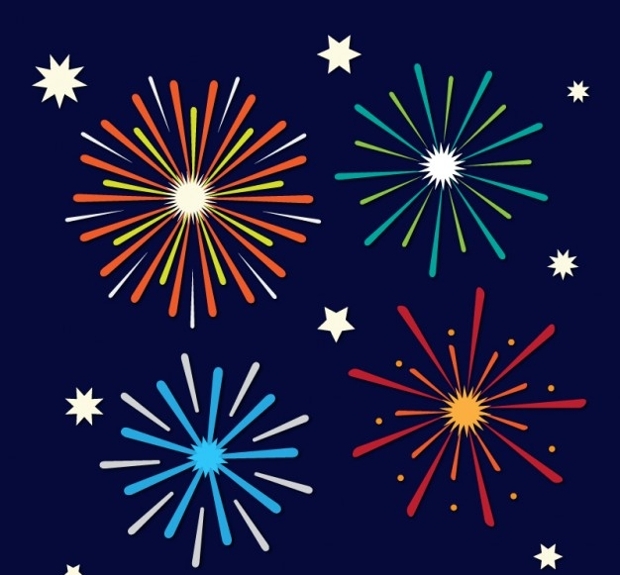 If you are looking for a seriously glorious firework design, this particular vector dazzles perfectly. The visual here is so realistic and sharp enough to be blown to any proportions. The high resolution image makes it perfect to be used in all kinds of applications. 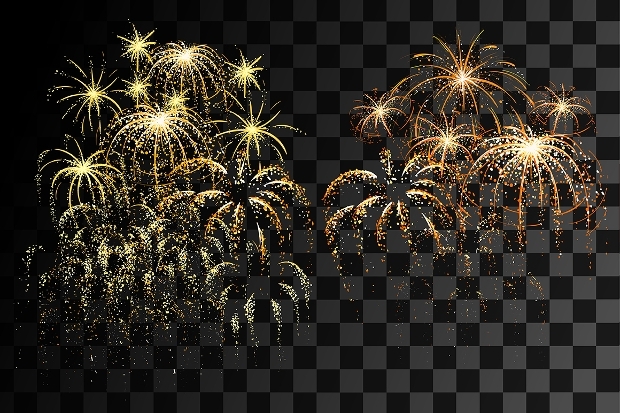 This particular firework vector comes in a non-customizable checked background. However, the high-resolution image can be used as a standalone design for any purpose, be it a greetings card cover or a part of a hoarding. 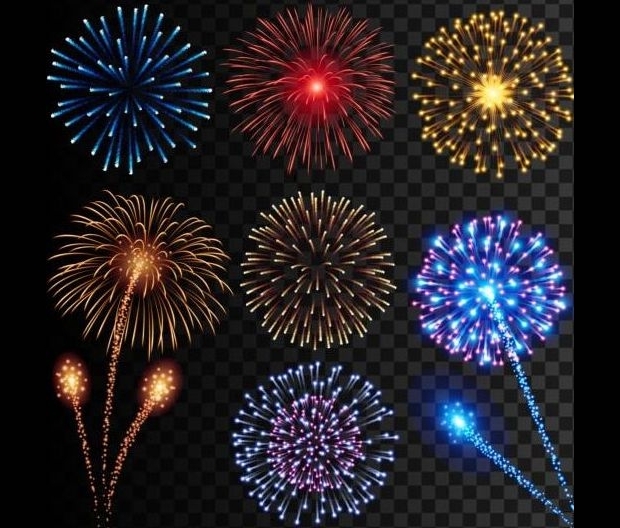 Available as a .PNG file, this file contains 7 different types of fireworks, commonly seen in events across the globe. 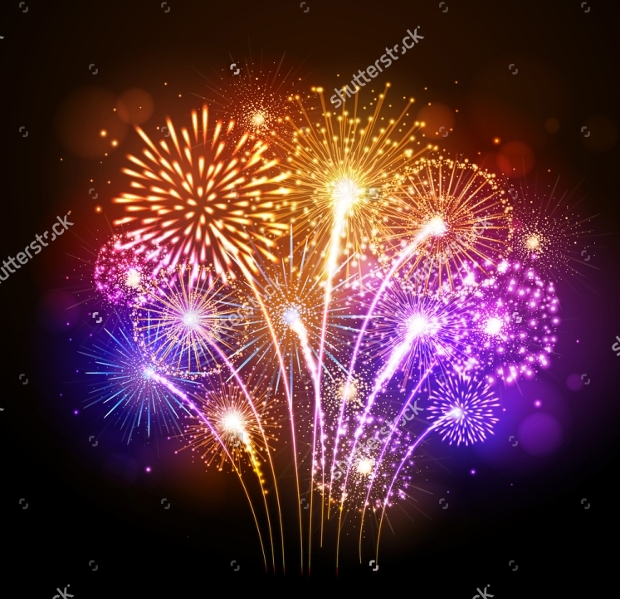 The high resolution .PNG vector with a transparent background ensures that the fireworks can be easily integrated anywhere into your design without fear of pixelation. 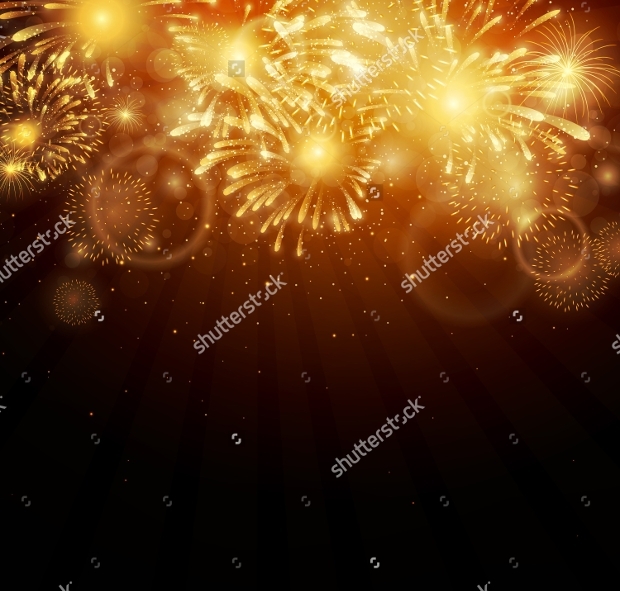 This vector is offered as a perfect composition for poster design or any web design work. While the background is un-editable, you get enough space to include other graphic elements to make this the perfect background for your message. It can work both as a greeting card or a poster for an event. 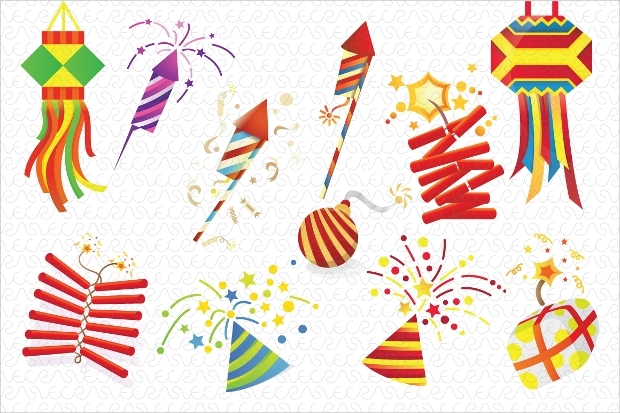 A highly scalable high-resolution vector image, this illustration includes all the common elements associated with a celebration. 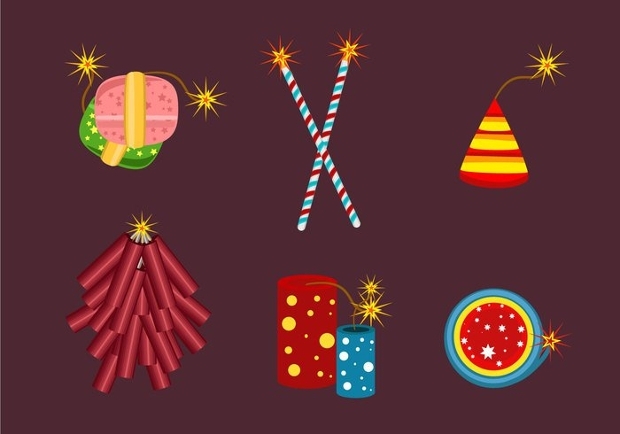 The items include lanterns and several types of crackers in a colorful illustration. You have the flexibility to cut each element out of the vector and customize the background to meet your design requirements. 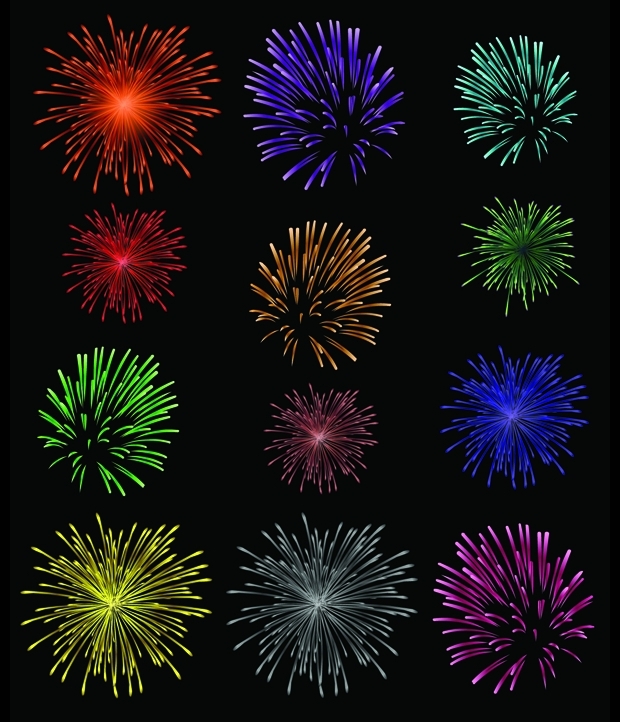 This vector file offers several different types of firework patterns in different colors and a black background. 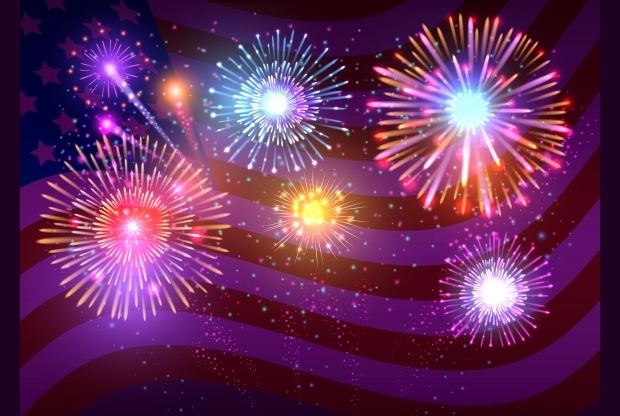 You have the option to customize both the color of the background and the firework itself. Further, the vector is offered as a high-resolution image and is highly editable and scalable. 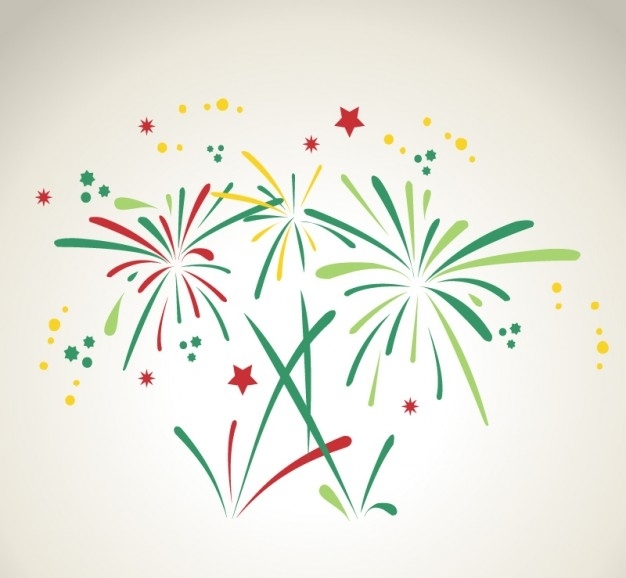 This would be a perfect graphics for all kinds of traditional and festive design projects. 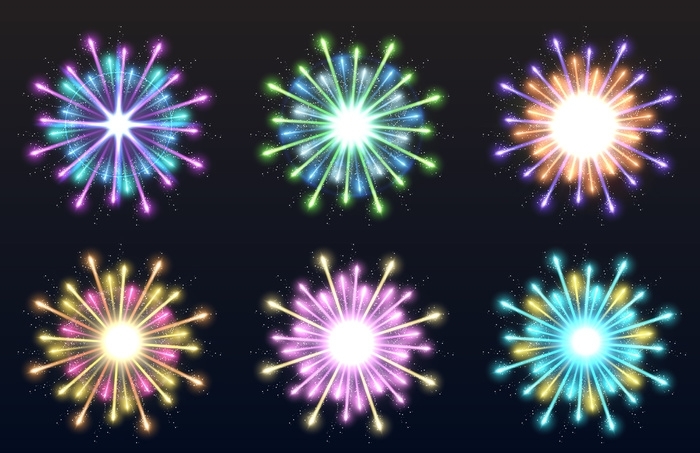 This is a collection of really sharp and colorful firework vectors. The designer has achieved an incredible color gradient with this vector. 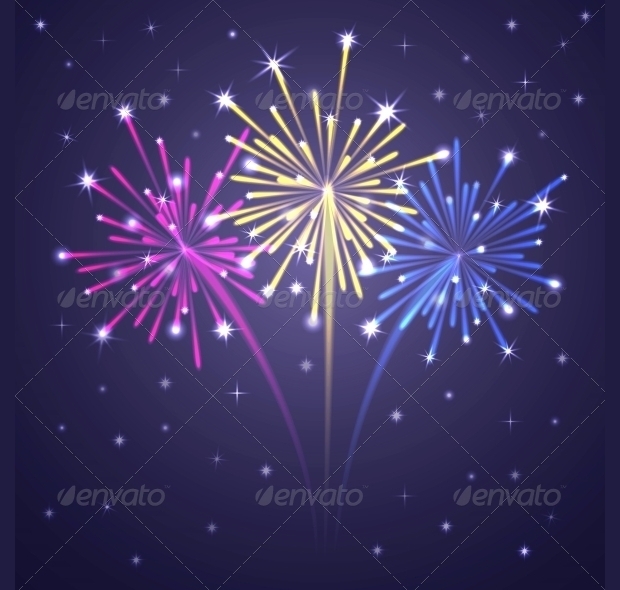 Further, the fireworks come as .PNG files and thus can be put on any background without the need for customization. 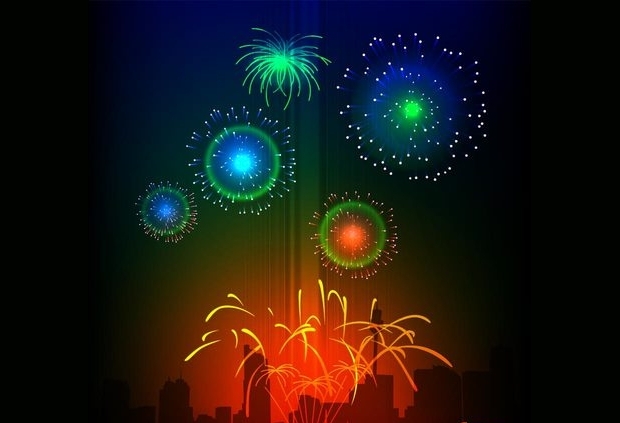 This vector illustration depicts a city’s night sky on the event of a celebration. If you are designing a public event, this could well be a possible background for your final design. 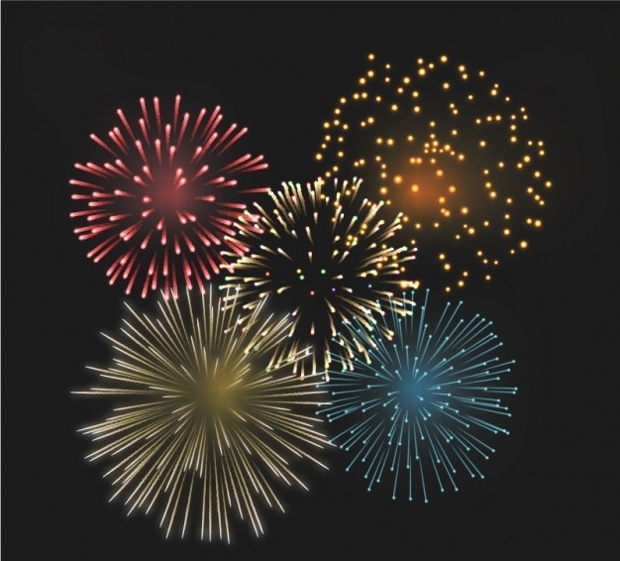 The multicolored firework comes as high-resolution images and can be completely scaled for a range of applications. 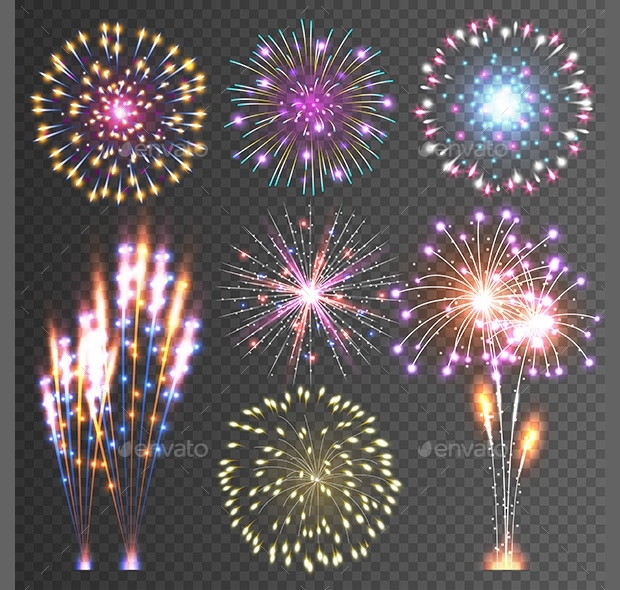 For any graphic designer, this would possibly be a unique set of firework designs. We hope you put it to good use. Do share your final output with us!